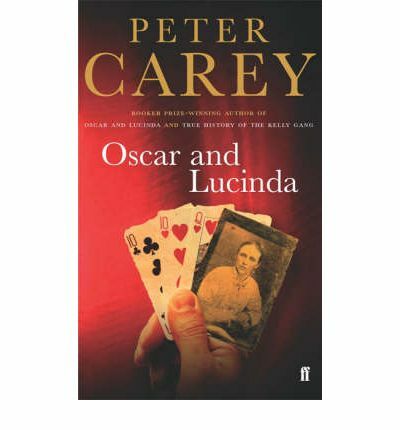 Oscar and Lucinda was the first of several novels I’ve read by Peter Carey and it’s still my favourite of his books. It tells the story of clergyman Oscar Hopkins and heiress Lucinda Leplastrier, both addicted gamblers of opposing type: one obsessive, one compulsive, both necessarily secretive, both bound by the strictures of mid-19th Century Australia, and both drawn to each other in a love that cannot be permitted by the code of the day. Many will have seen the movie and enjoyed it, but anyone who has read the book will find the movie disappointing. The primary reason is that the movie dispenses with the first half of the novel (some 300 pages! ), which is the complex and beautifully written story of each of the main characters before they meet each other. It is this part of the book that lends the second half of the novel its tragic and compelling power. The sheer impossibility of their love for one another is painstakingly delineated as impending disaster approaches. The language of the novel is truly Dickensian in its detail and its scope and lends the story a convincing verisimilitude. There is also much humour throughout; a particularly memorable scene relating to the entry of a lady of high moral fibre through the window of Oscar’s presbytery drawing room while he tries to hide evidence of his gambling nature is hysterically funny. We are also treated to a fascinating insight into the differing qualities of Oscar’s and Lucinda’s addiction, with an examination of the various gambling systems they develop along the way and their degrees of success and failure. It is a book of monumental scope and breath of vision. The only thing I’d advise readers to do is persevere through the first 40 pages or so, which give a detailed account of the various Protestant splinter faiths. After that, the story takes off. Thanks for that! I’m putting it on my list – haven’t seen the film yet. Did you think the details of the Protestant splinter faiths were unnecessary then John? I often wonder why authors do this. I also wonder why movie producers seem to choose to leave out those parts of a novel which add depth. I know film is limited but rendering a wonderful story down to the ordinary shouldn’t be allowed!! No, the extra detail is vital, as it helps to bring the reader to a fuller understanding of the strictures of the day. Readers wouldn’t be convinced by the behaviour of Oscar and Lucinda unless they had a grounding in the taboos imposed by the largely fundamentalist religions that held sway back then. And I can’t think of anywhere else Carey could have put it in the novel except at the front. But you do need to ‘get’ through it, so to speak. And yes, all this is very difficult to convey in a movie, hence the dumping of it for the silver screen. This is the kind of richness that you can only usually get in novels, and why I hope the unadulterated form continues to survive.